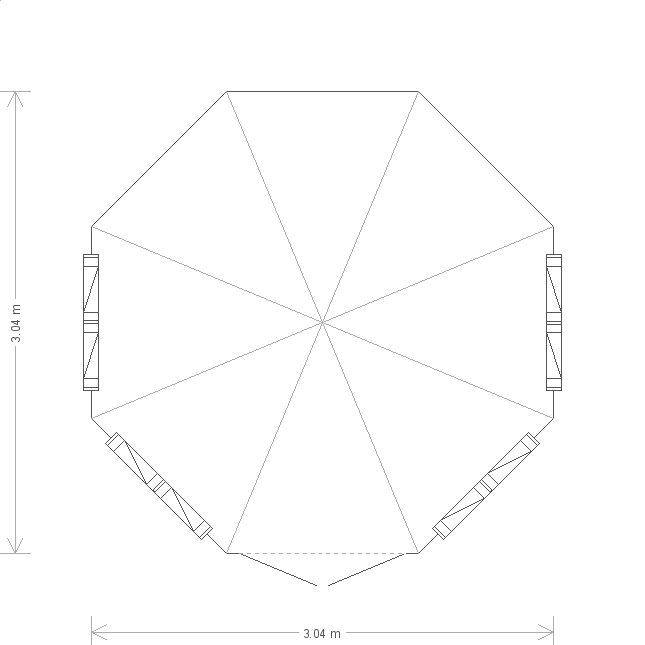 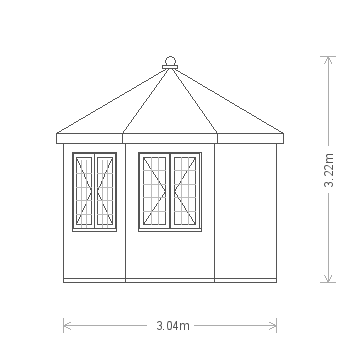 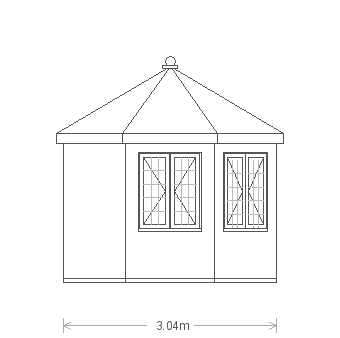 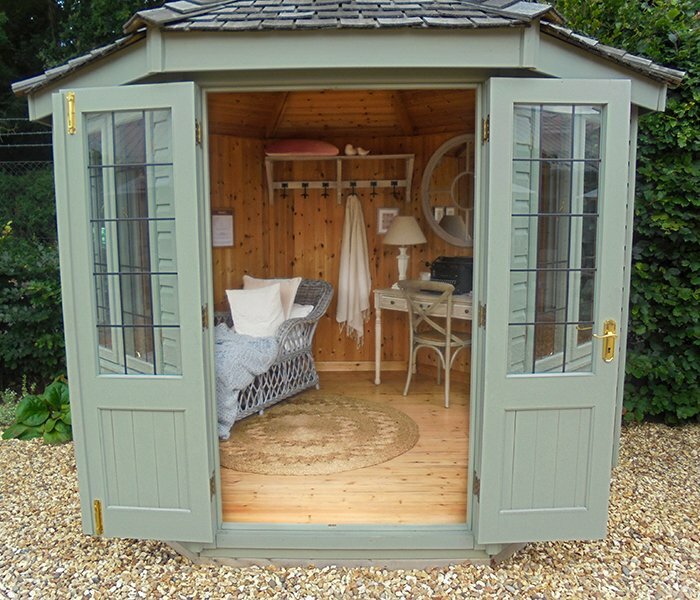 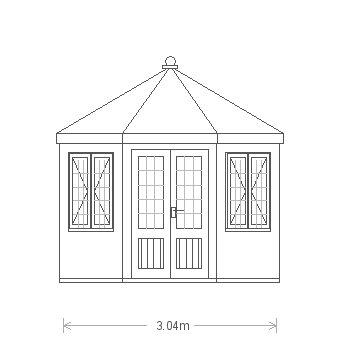 Options: This splendid Wiveton Summerhouse measures 3.0 x 3.0m and has a distinctive octagonal roof covered with cedar shingle tiles that have silvered as part of their natural ageing process. 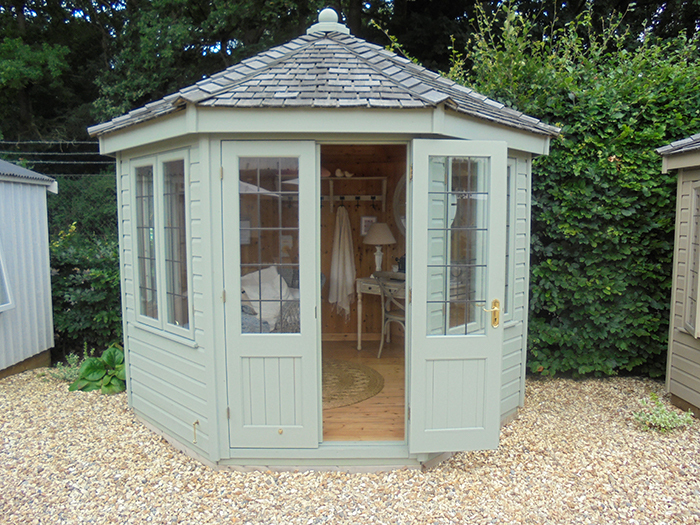 The exterior of the building is clad with smooth shiplap and finished with our opaque Valtti paint in the Lizard shade. 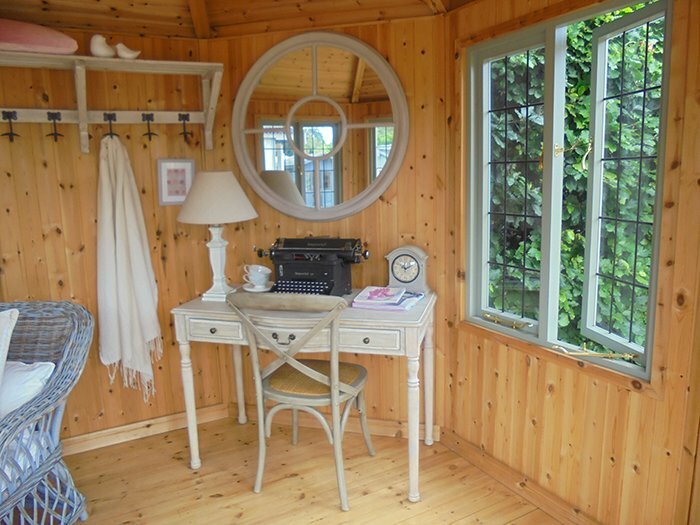 Opening leaded windows allow for adequate ventilation on balmy summer days and insulation in both the ceiling and walls maintain pleasant temperatures all year-round. 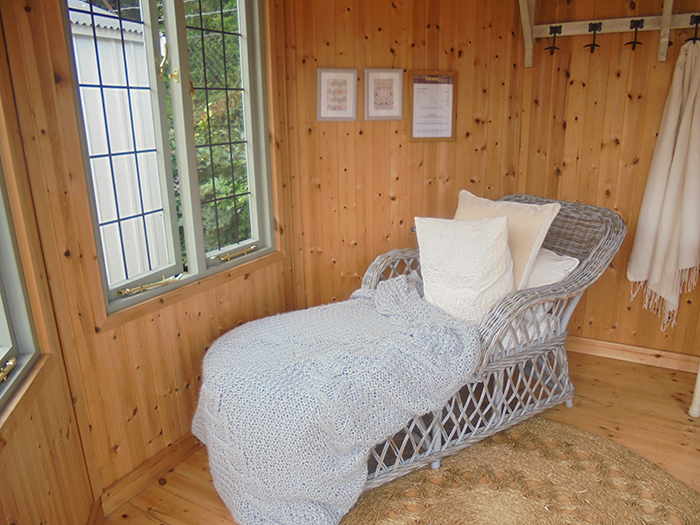 Natural solid pine matchboard lining has been used inside to offer a comfortable, home-like atmosphere. 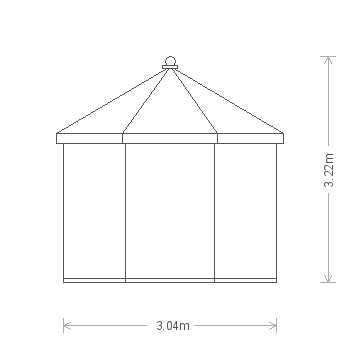 Please note: there is a likelihood of scuffs and marks on the floors of our Ex Display Buildings because of the high number of people who walk in and out of them.